A book-loving mom's read-aloud journey with her children, with recommendations on children's books and musings about parenting, education and Hong Kong family life. "It takes a village to raise a child." Reach out, learn, seek advice. My children attend a local school in Hong Kong. This means so much more than simply Chinese being the language of instruction, because "local school" implies rote learning and standardized testing. And with that comes the stress of being tested. In Finland, students are tested at the beginning of a subject module to see what they know and don't know. Then they are quizzed at points over the ensuing weeks to check that they are learning the things that they don't yet know. But enough about Finland. I have not posted on my blog for more than one year, and what has spurred me to action is not a desire to do a comparative study of education systems. The reason I feel compelled to write is that kids at my children's school are feeling stress because this week they receive their exam results, and I want to share my thoughts with other parents. If my child does better than expected, I will praise his efforts, not his IQ or talent. Yes, of course I will be happy and proud, but instead of "Wow, my awesome boy, so good, so smart! ", experts suggest saying to him, "Wow, you really tried and your efforts were rewarded. You're lucky the exam covered things that you studied hard for, and good for you for getting such a good mark!" After my child and I review and discuss exam results, I will move on to the important things in my life and my child's life: weekend plans, holiday plans, what my child has created in art class or has read during Reading Time... I have many things to focus on, and won’t let exam scores affect my time and relationship with my child. If the school calls to tell me that my child was so upset with his exam result that he attempted suicide during recess, what would be my reaction? Shock? Premonition? Embarrassment? (1) If I feel shock, then I don’t know my child very well. Yes, maybe my child is a skilled actor purposely hiding his feelings. But if I spend quality time with him, I should know his personality, capabilities and coping skills. If I feel shock, then it means that both of us need professional help. (2) If I had a feeling this may happen, then I must already know that my child is over-anxious and/or capable of suicidal thoughts. If I am not surprised to receive this call from the school, then it means that I need to find professional help for my child right away. (3) If I feel embarrassed about what happened, then I am only focusing on what the school and other parents will think of me. If I think about my own reputation more than my child’s attempted suicide, then I need professional help. So, it seems that, no matter what my reaction is, the answer is professional help. Seeking professional help doesn’t mean that I am a bad parent or that my child is defective. Seeking professional help means that I am willing to admit that I cannot handle everything by myself, that I want to improve: my parenting skills, my child’s emotional state, and our parent-child relationship. I cannot wait for something serious to happen before seeking help. I should not let “face” prevent me from seeking help. Foodies love recommendations about good restaurants. Yoga enthusiasts love to improve their technique from good teachers. Feng shui believers want advice from masters. If I love my child, if I am enthusiastic about my child and if I believe in my child, then I need to talk to people. This is just a book list, please click the book cover to get more information from Amazon. No book review, because almost all of them are hot off the press. I know these may tend to lean heavier on romance, but hey, it's Christmas and no one wants to write a dystopian Christmas story. 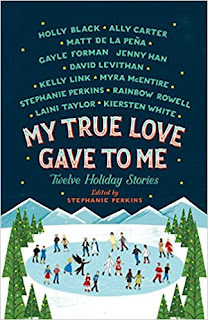 Anthology with contributions by two of my favorite authors in the young adult field: Rainbow Rowell and Matt de la Peña. 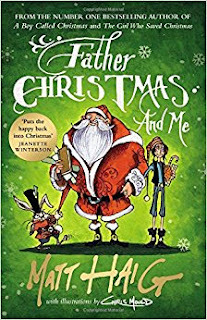 The first book A Boy Called Christmas was a bestseller translated into over 25 languages, and it was followed by The Girl Who Saved Christmas. 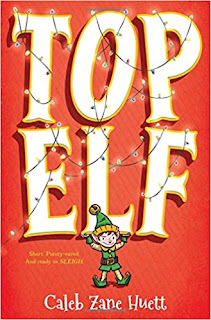 This third title has all the makings of an unforgettable adventure: The adopted human child of Father Christmas dealing with the challenges of Elf School faces her biggest challenge when a jealous Easter Bunny tries to destroy Christmas. 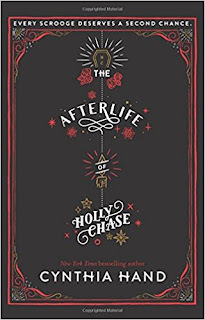 A retelling of A Christmas Carol may not hook everyone, but who can resist a tale with a twist: Teenager Holly gets a visit in the same way as Scrooge in the Charles Dickens classic. But instead of repenting, she remains selfish and spoiled and then... dies! The suspense of this mere plot summary is already killing me. 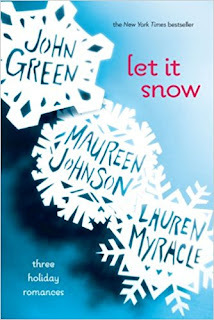 Can't wait to read it. 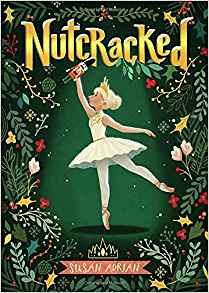 As if the Nutcracker ballet isn't fantastical enough, the author has added one more layer to the timeless tale: A girl (Georgie) who dances the part of a girl (Clara) who falls into a fantasy world, also finds her own real and fantasy world becoming blurred. For those who love a good laugh, how can you not guffaw when reading about Santa's eldest son, whose first name is... Klaus. There are people who just absolutely love Christmas, and I'm one of them. 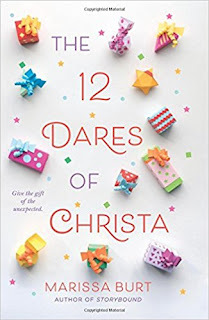 So I can feel the pain of the "holiday junkie" girl in this story, who is so very *not* looking forward to her mother's plans to take her to Europe for her first holiday away from home. 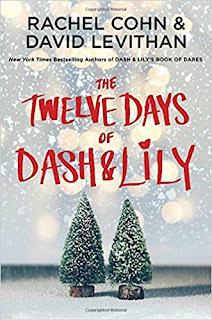 A holiday romance to follow bestseller Dash & Lily's Book of Dares (a cute New York story about a romance that resulted from a red notebook and the scavenger hunt that ensues). Three interconnected stories from three bestselling authors. Enough said. Immediate Past Board Chair of non-profit organization Bring Me A Book Hong Kong, I love to read books, collect books, buy books for friends, read aloud to my daughters, and simply look at books.